Part No: WP190001 Category: Capsule Filters for Millipore®. 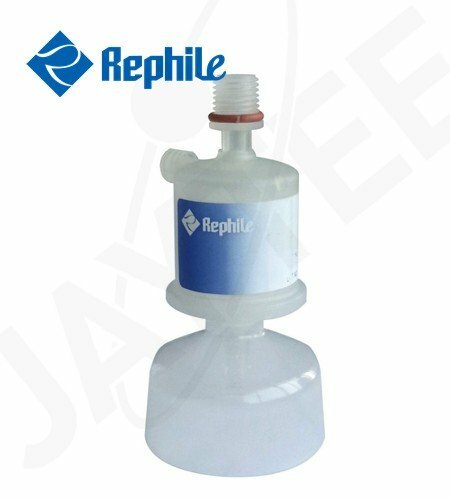 Tags: alternative, capsule filter, Direct-Q, milli-q, millipak® express 40 filter, millipore, MPGL04001, MPGP02001, mpgp04001, PES membrane filter, RAFFC0250, rephiduo, rephile, simplicity, synergy, Ultrapure Water Systems POD, water purification. This replacement 0.22 µm membrane filter is an alternative to Millipak® Express 40 and is designed for providing particulate-free and bacteria-free water at the point of dispense. Compatible with Millipore® Ultrapure Water Systems POD water purification systems. For the removal of particles and microorganisms from liquids. The membrane is US made and integrity tested.